Iglesia Metodista "Puerta de Jehová" - "Door of Jehovah"
This month the Llano Grande church celebrated its 10th anniversary. This pioneering congregation has faced many obstacles over the years, but continues to grow and serve its community as the pastor and members stay faithful to the vision God has given them. Will was honored to give a few remarks, along with others who have accompanied the church over the years. Below is a photo of the decorated front of the church, as well as a beautiful sunset that accompanied the celebration. Please join us in prayer for this year to be when the church finally receives the funds to purchase land and build a stable, permanent home. The Lord can and will continue the great work He has started here! The pictures below are of a small church that is very special to us, the Llano Grande church. 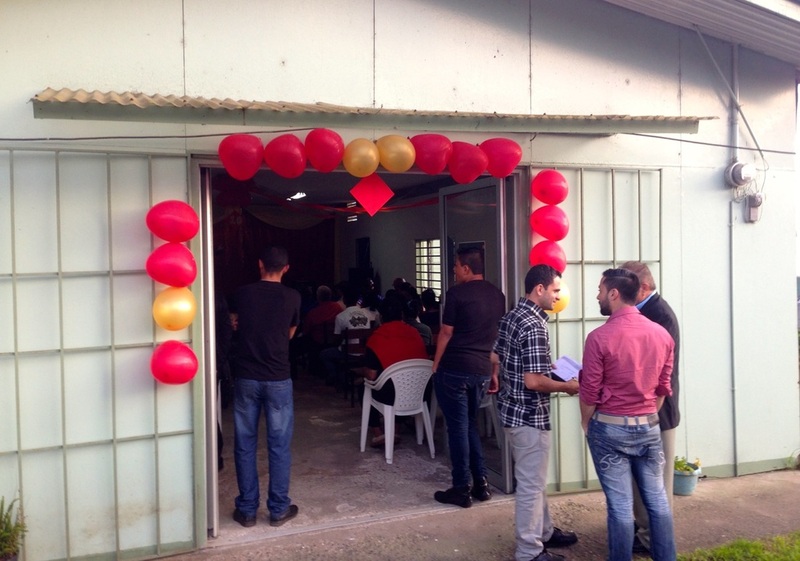 Called the "Door of Jehovah," this congregation is located on the slopes of the Irazú volcano east of San José, in a settlement where there are no other Protestant churches. The pastor there, Gerardo Mata, was one of Will's first Seminary students, and we've had the pleasure of being involved in his church since 2006. Gerardo's testimony is a fascinating story of how the Lord took him from being a shoe salesman and lay Methodist to becoming a pastor and Seminary graduate, despite several hardships and challenges. 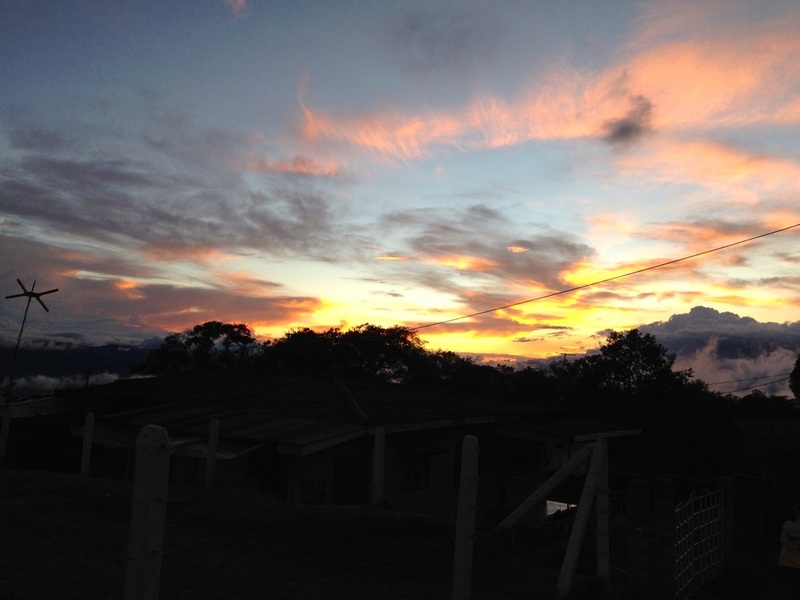 Llano Grande is a farming community, and Gerardo has detected a particular need there for family restoration and counseling ministries, as well as ministries for youth. He works hard to design programs that will meet the needs not just of the church members, but of other members of the community as well. The church is about thirty minutes up the mountain from Gerardo's house, and in 2009 we were able to coordinate donations from US churches to purchase a van for him. He uses it every day to take his family to church, to visit homes for counseling, and also to transport members to and from church activities. It has been our pleasure to watch this small congregation grow over the years, and while they're in a comfortable rented building at the moment, the funds they must put towards this continue to climb each year. Therefore it is our goal to soon help them purchase a piece of land for building their own church. If you are interested in learning more about this pioneering church and about how you could help their future, please don't hesitate to contact us.